Tips to Hiring an Estate Planning Attorney in Texas | The Ashmore Law Firm, P.C. Estate planning is not just about death. It’s about life too. Selecting a qualified estate planning attorney is important. Once you have selected an attorney, you will be working and communicating with that person for many years to come. Needing the help of an estate planning attorney isn’t like finding someone to sell your home, or help you with buying a car. The attorney you select to work with you and your family will be one who is helping you plan your future and protect your family as well as your assets for your lifetime. The attorney you select will need to know all about your family—even those things that other family members may not know. It is an ongoing relationship. Ask your friends and family if they can refer you to someone. Check with the Dallas Bar Association for a local referral service. Contact an attorney you know for a reference. Look through the Yellow Pages of your telephone book or search the Internet for attorneys in your area. Once you have narrowed your search, you need to ask 6 important questions. Hiring an attorney does not have to be a fearful experience. Instead, it can be the most empowered decision you ever make for yourself. 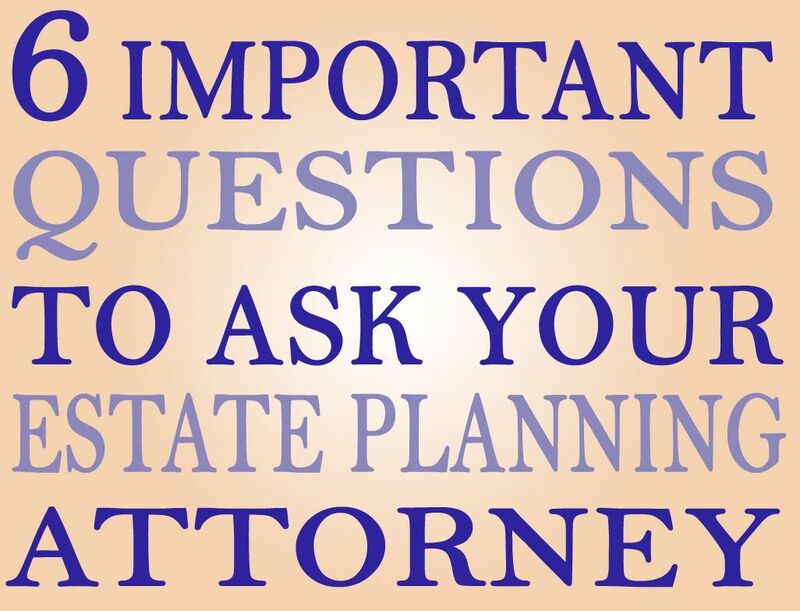 Click our blog article below to find out the 6 most important questions you should be asking your estate planning attorney.